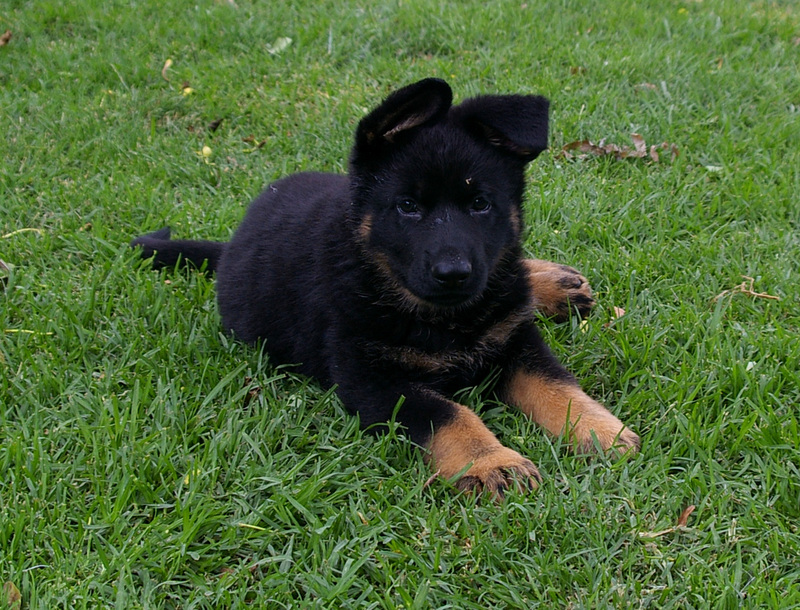 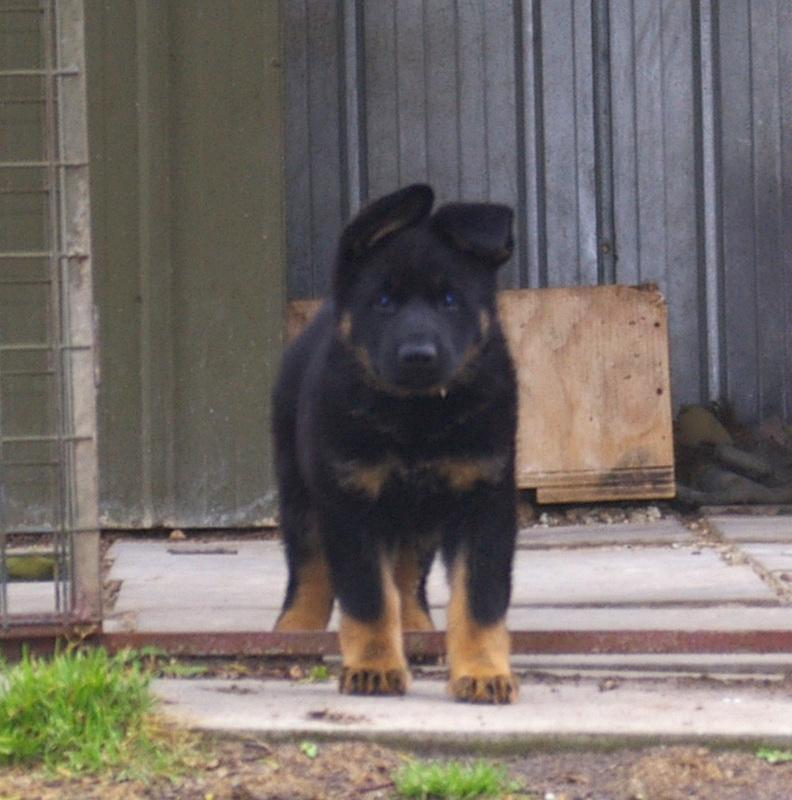 Von Zane Apheonix is pick male from our A GSD litter and is a dog that has exceeded all expectation. 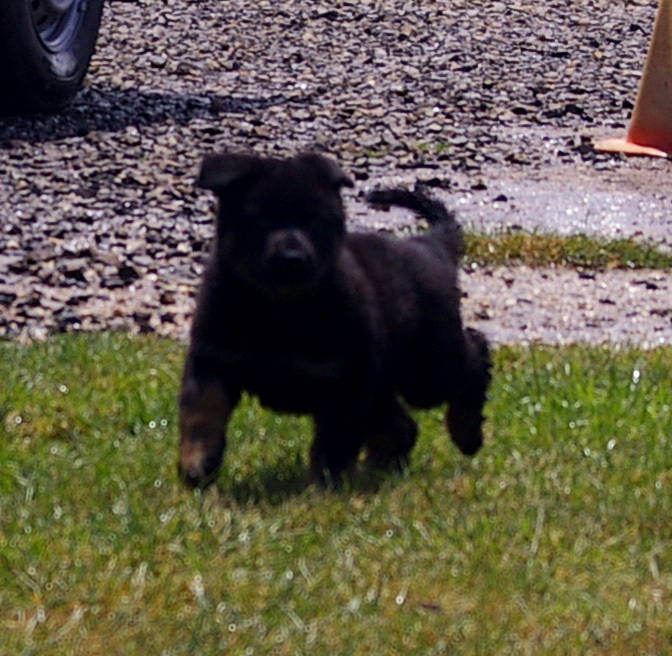 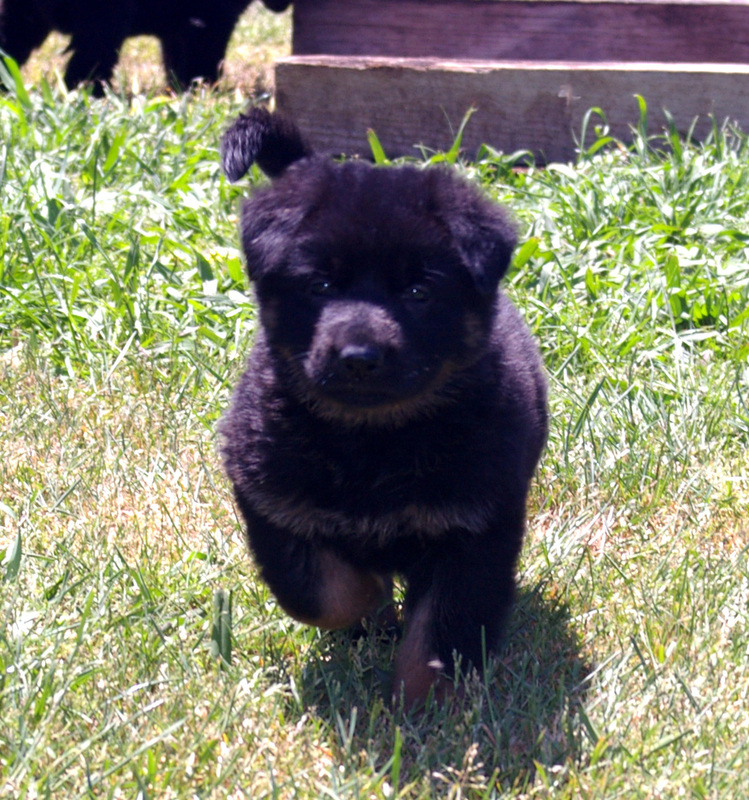 He is the male running at the camera on our heading as well as the two shots of him as a puppy (the black and tan pups). 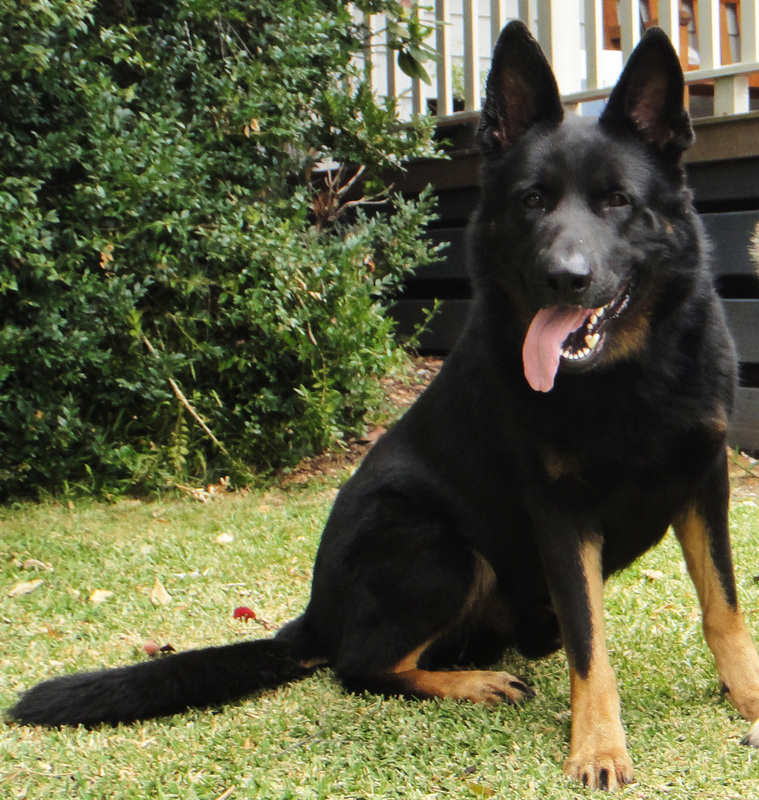 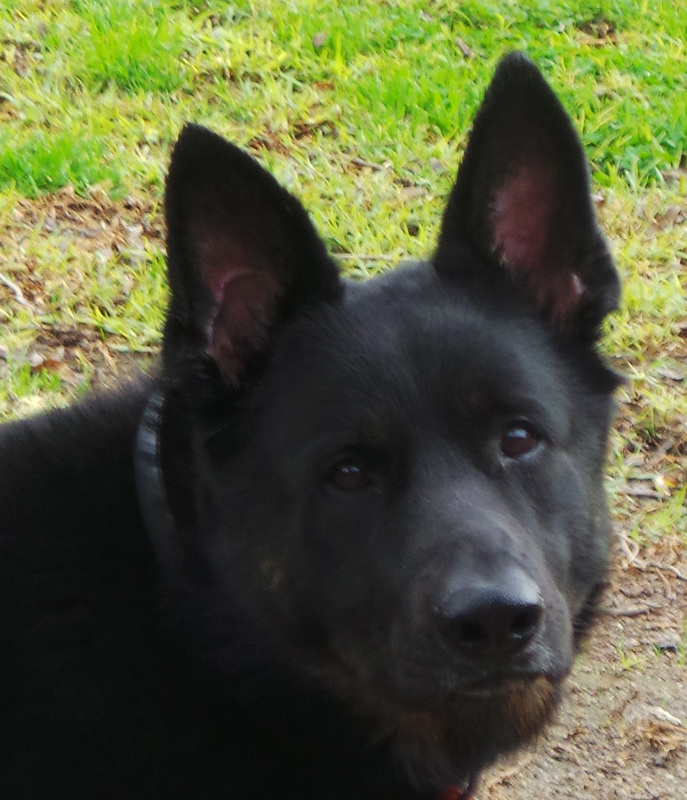 Phoenix is a large black and tan male weighting aprox 45kgs, trim. 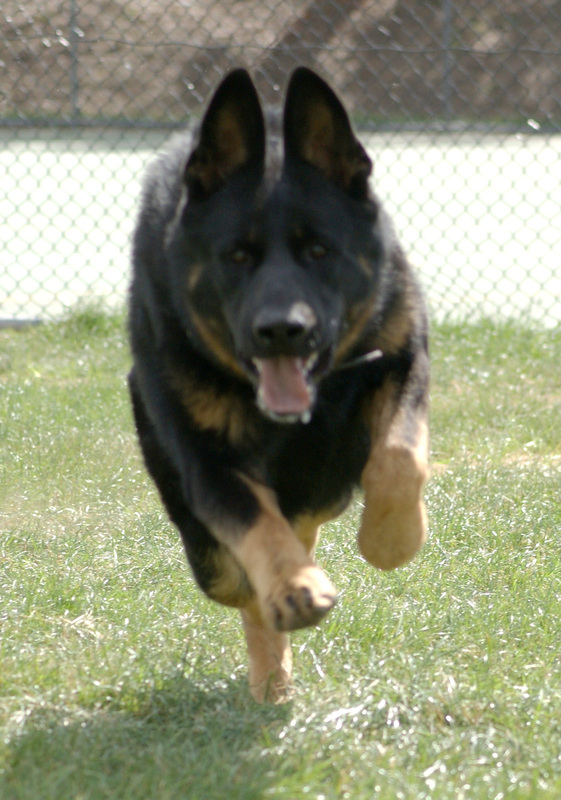 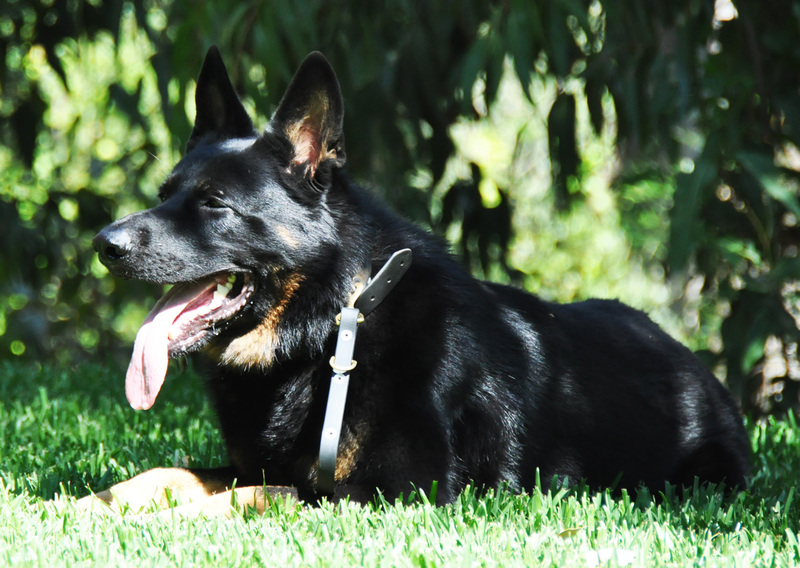 He is a very physically powerful dog with one of the strongest rears we have ever seen in a GSD. 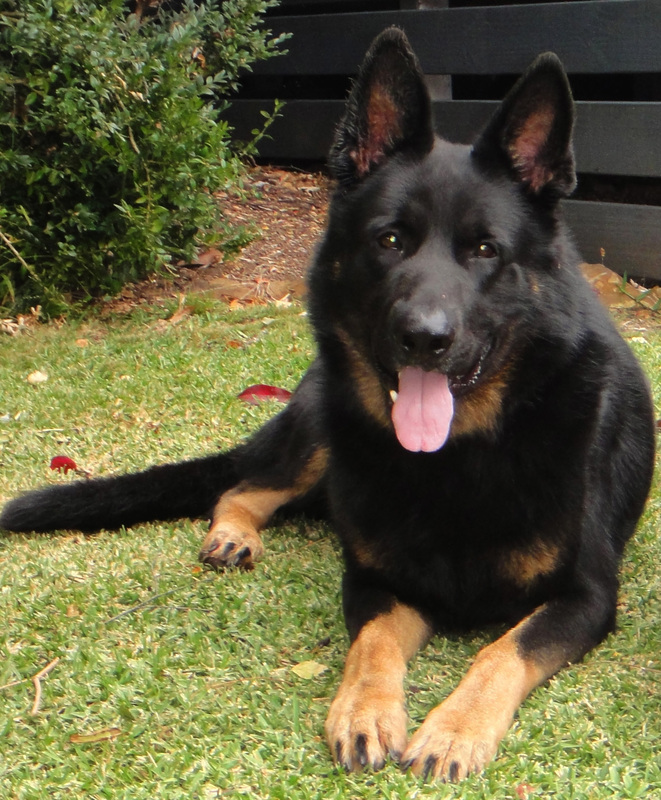 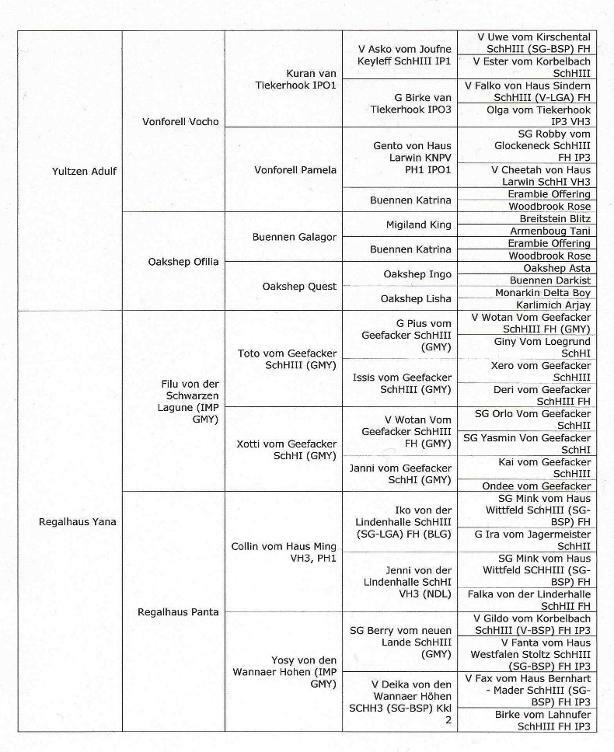 Phoenix's boning is exceptional and he has produced this boning in almost all his offspring. 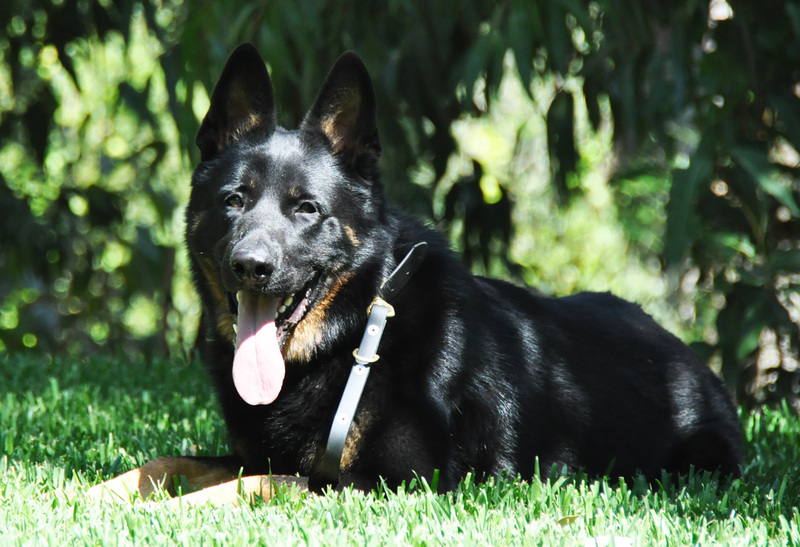 Phoenix is also one of the strongest temperamented dogs we have ever seen. 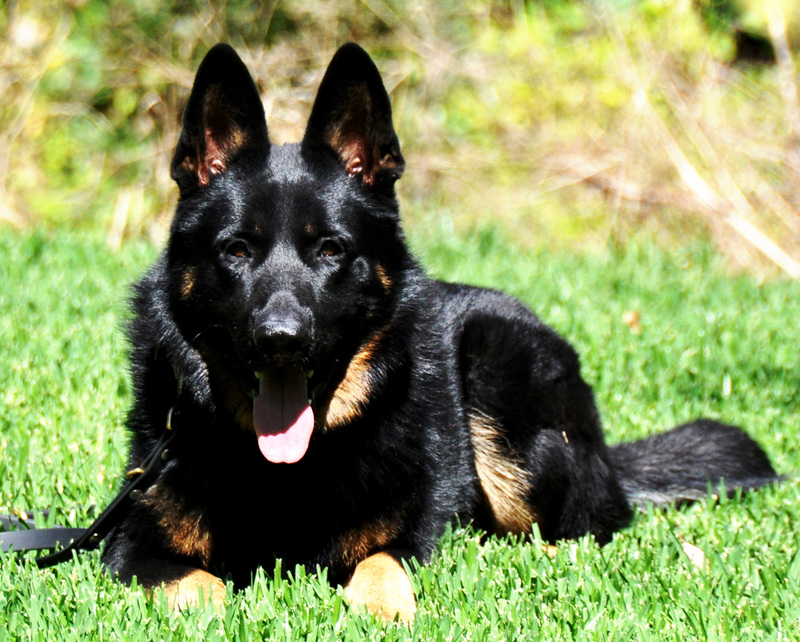 He is extremely powerful in his work and has been tested by many of the top trainers and Government Agencies in Australia. 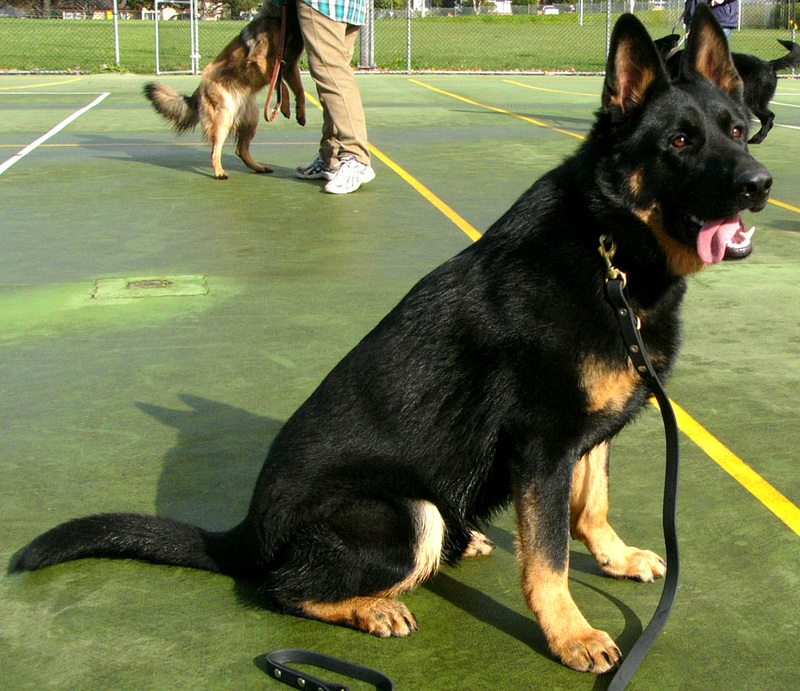 A real working German Shepherd Dog.